Vintage 80s T-Shirt. 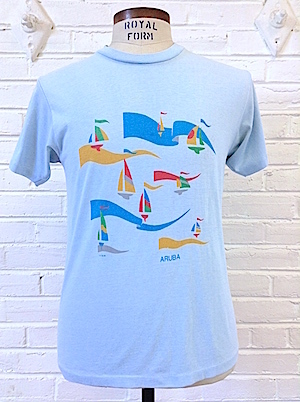 Light blue with print of sailboats. 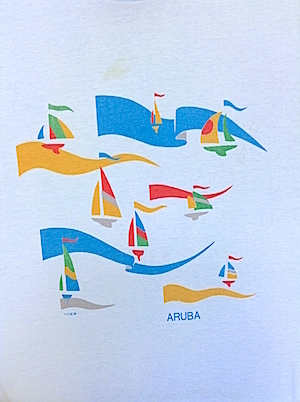 Reads Aruba. Dated 1985. Washed soft and thin. 50/50 Poly/cotton. Condition: Good. has a faint yellow stain under the neck and some pit yellowing. Still very wearable!